Days long we have been sharing with you inspirations that led us to tread on the path to start another spiritual venture of Naam Jaap. We have received excellent response and I am pretty sure Lord Sai Baba has planned something very special for His devotees. While we are celebrating Centenary Year of MahaSamadhi in 2018, we as His Seva-Kars are noticing Him to be more responsive. By being responsive i mean, just like He quickly gave permission to Hemadpant to write Satcharita, He is giving a Thumbs Up to all our thoughts which are transiting into Spiritual Ventures. Enjoying Rinanubandh, we all are working towards one goal of making this Kaliyug as SaiYug and thus we have seen some unbelievable happenings around us. I was first thinking that I would be enrolling Saiesh for this Mahajaap for a 20 minutes slot. So when I was telling to Hetal Di that I will make him do by myself doing with him for 20 minutes; to this Di said, “If you are going to do for Saiesh, I too should think for Krishaang and let us have a separate group for the kids too”. 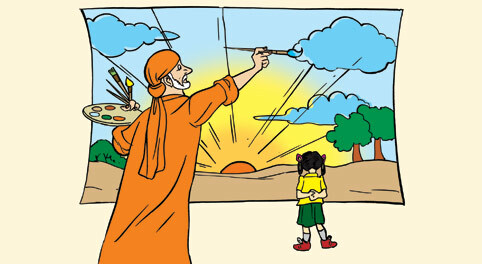 Baba then inspired in the discussion that followed a beautiful plan for Kid’s separate group as well. Well, we want not only our kids to participate in Naam Jaap, we want many kids to be a part of it. This will sow a seed for a spiritual tree in future. We are crushed in life sustenance matters and there seems no escape. Due to this we are surrounded by stress and fail to remember Lord and seek solace in His feet. Practicing Naam Jaap at this tender age will bring Sai Yug where kids of this age and youth of next, can practice it without any effort and meditation would be part of their daily chores. We cannot expect our kids to do Sagun Worship because of the nature of education and environment wherein there are taught to believe on facts. Technology will engulf many where they might be trapped in such a way that they wont want to come out of it at their free will. We are following our parents' directions at every point of life, though we teach our kids of the same, there isn't any surety that they will be follow us. It's because they have their free will and they are taught to differentiate between good and bad at as foundation of their education. One of the best part of this new journey of Naam Jaap, is that since that earring episode, Naam Jaap has made a deep impression on Saiesh’s mind. 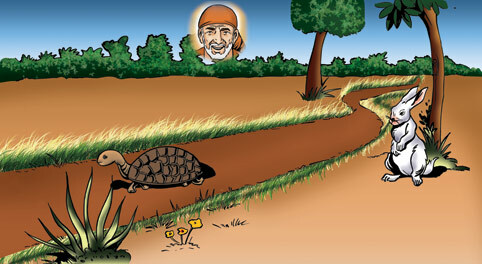 He when stuck with something or even if he sees anyone of us stuck up with something says, “Arre chalo wo 9 minutes ka Sai Sai karenge us din jaise.” (Hey come lets us do 9 minutes Sai Sai like that day). 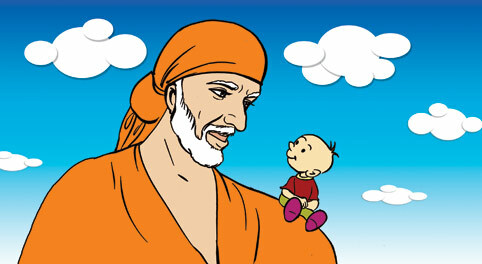 We as Sai devotes always want our kids to follow Saism path, but we cannot be stubborn on attaining it, as it's journey of individual soul with Lord Baba. But if we inculcate this habit in them, they will naturally be connected to the roots. Now that Krishaang is grown up enough to understand things his own way, i try to relate everything with Lord Baba and this has left impression on his mind. Say for example - One day i told him, "If you do anything wrong and you feel i or anybody else has not watched you, beware Lord Baba is watching you. 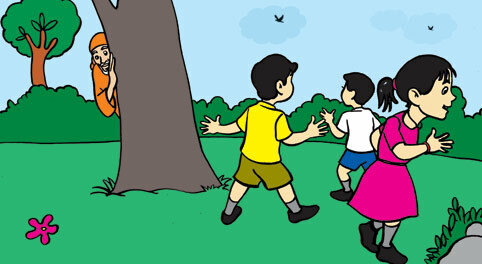 He come with you to school, cricket, malls, etc wherever you go and knows whatever you do, good or bad". He questioned, "Will He punish me then, if i do anything bad or wrong?". I answered, "He never punishes as He is our Mother and Father, in fact this dog as well" (pointing to a dog). His face expressed then what's result if i do something which is bad? I continued further, "See, if you do wrong you will get wrong in some or the other way"
I did wrong by not listening to you and that's why i fell down and got hurt. I did wrong and got punished by Lord Baba in this way. He uttered punished word in ignorance however he meant that he got lesson of his wrong doing and more than that, he understood that not listening to me was a wrong deed of his. In this way we can teach our kids lessons by Lord Baba in simple acts, this is what i believe and encouraging them to participate in Naam Jaap is just a small step towards this goal. 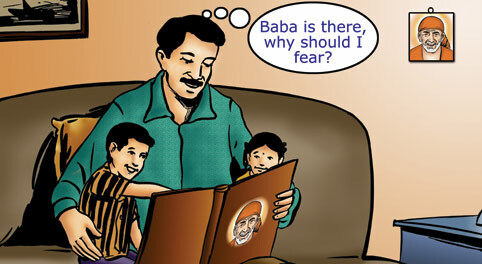 It's a responsibility entrusted by Lord Baba (I believe so) to inculcate Sai Satcharitra in them, as mere reading wont help, if we are reading it from years, we are required to transit out readings into action and when they are in action our kids will naturally follow. Let us now concentrate on few important points regarding this Naam Jaap for kids process and its execution. 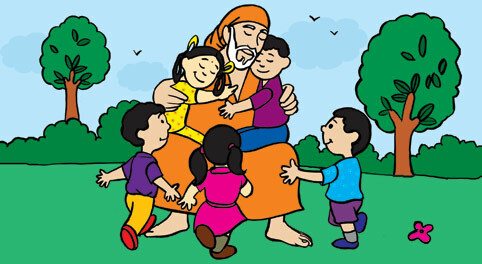 Kids who can speak even "Om" or "Sai" till the age of 18 years are eligible for this Naam Jaap. As all kids will be available at home on Sunday, this Naam Jaap is only for Sunday. Every kid will be asked to chant any mantra for number of times. It can be set of "N" number of time at intervals or at a stretch. For Eg: If kid is an infant there is no fixed sleeping or eating pattern, he/she can chant for "9" times and after some time again chant for "9" times. 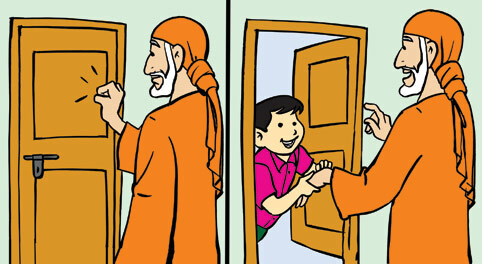 For infants who have just started speaking, either of his/her parents can chant first and they can repeat. There wont be any any fixed slot for any kid. One of kid's parents would be participant of our WhatsApp Group and they would be reporting on their kid's behalf. If a kid is very young and have been enrolled, but doesn't have mood to do the chanting, it is my request to do it while he/she is playing or engage him/her in their favorite activity and then do, but do not impose it as a task which have to do compulsorily. In this way they might end up having no interest in chanting, which is definitely not our motto.